• Sept. 3: Over the holiday weekend, several vehicles were entered and small items taken. Anyone with information is asked to contact the Police Department at 364-4551. The cases are under investigation. Residents are reminded to lock their vehicles and not leave valuables in sight. • Sept. 3, 3:47 a.m.: Wendy Varney, 42, of Rumford, was arrested on Hancock Street on charges of domestic violence assault, criminal mischief and two counts of assault. She was transported to Oxford County Jail in Paris and is to appear in Rumford District Court on Oct. 23. • Sept. 1, 4:06 p.m.: Joshua J. Messier, 33, of Mexico was arrested on Cumberland Street by Patrolman Austin Couture on charges of domestic assault, resisting arrest, criminal mischief, disorderly conduct and violation of bail. Messier was transported to the Oxford County Jail and is to appear in Rumford District Court on Sept. 11. • Aug. 30, 2:25 p.m.: David McKenna, 55, of Rumford was arrested on charges of disorderly conduct and refusal to submit to arrest or detention. McKenna was released on $500 unsecured bail and is scheduled to appear in the Rumford Court on Oct. 23. 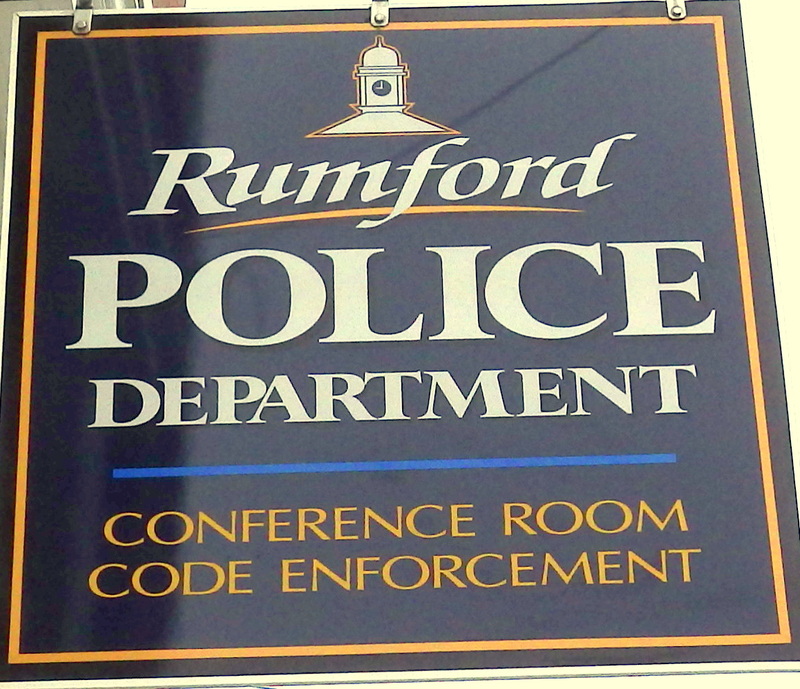 • Aug. 28, 1:05 a.m.: William Moulton, 26, of Rumford was taken into custody at the Rumford Police Department on a warrant charging failing to pay a fine for a drug case. Moulton was transported to the Oxford County Jail. • Aug. 27, 7:24 p.m.: Police received a report of a vehicle stolen from an automotive garage in Rumford. The vehicle was recovered in Mexico. The case is under investigation by Sgt. James Bernard. • Aug. 27, 2:58 p.m.: Harley McCaffrey, 62, of Mexico was arrested on a charge of operating under the influence by Patrolman Ashley Rich on Worthley Avenue in Mexico. McCaffrey was released on $800 unsecured bail. He is scheduled to appear in Rumford District Court on Oct. 23. • Aug. 27, 11:14 a.m.: Heather McAlister, 28, of Rumford was arrested on Portland Street on an outstanding warrant charging trafficking in prison contraband by Patrolman Rich. McAlister was unable to make bail and transported to the Oxford County Jail. • Aug. 26, 4:06 p.m.: Dawn Miller, 42, of Rumford was arrested by Patrolman Lawrence Briggs on South Rumford Road on a warrant charging failure to pay fines. Miller was transported to the Police Department and released on $483 cash bail.